Please click on the options below to read the case histories and see client results. Identification and prioritization of historical and cultural features/facts. Then communicated "Brought to you with the quality experience and imagination you trust of Disney." Sales continue to exceed projections. "I worked directly with Jeff Goss in the launching of The Disney Vacation Club, which consisted of Disney’s Vero Beach Resort and Disney’s Hilton Head Island Resort. It was the first time Disney had extended its brand beyond The Walt Disney World Resorts. After eight months of disappointing results in pre-occupation sales, the recommendation spearheaded by Jeff Goss to implement consumer insight programs in the north and in our Florida markets was executed. This led to targeted creative insights that leveraged the unique distinctive characteristics of the properties Disney is known for. 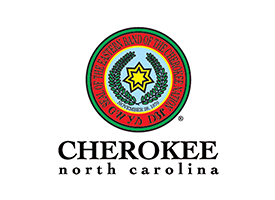 The Eastern Band of Cherokee Indians dynamic history and culture had been shadowed by the image of the casino, social ills, and rubber tomahawk tourist traps. Identify historical/cultural facts, traditions, features, and experiences to establish an emotional appeal and effective media/creative campaign. UPS’ objective was to target business. After the Customer Insights Study, a common theme emerged, shipping was critical to the business but there was something else in the workplace equally critical to the individual and his/her performance - coffee. Due to declining sales for Massey Ferguson tractors, AGCO was strongly considering merging this long-established brand into its new line of AGCO agricultural tractors. A proposal had already been made to start this process by changing the color of the Massey Ferguson from red to orange. Was there any Massey Ferguson heritage left worth leveraging in a market so dominated by John Deere? Three hundred phone interviews were conducted with farmers in 26 states and were followed up with Inside Insights Focus Groups. Massey Ferguson Heartland discovered that the Massey Ferguson brand still had a heritage for quality among farmers over age 40. The brand positioning became: Position Massey Ferguson as the pinnacle of reliability – reliable products and reliable people from a reliable company with a coveted heritage. Focus this reliability on the benefits of consistent performance and long-lasting dependability. The loss of the banana contracts in Europe led the St. Lucia Tourist Board to focus on tourism and meaningfully on differentiating the Island from the many islands in the Eastern Caribbean. The board was leaning toward positioning the Island as the island with the friendliest people. We conducted Inside Insights Focus Groups with travelers who had been to the Caribbean at least once and planned to visit again within the next two years. We discovered travelers considered "the island with the friendliest people" to be Jamaica. Different attitudinal segments favorably received two Benefit Statements, The Authentic West Indies and The Island Adventure. Both of these strategic benefits were incorporated into the current advertising and public relations campaigns. Farnam Custom Products in Arden, NC, is a customizer of industrial products — a niche player that sells special products/parts that can be significantly modified. Farnam needed to move more towards higher-volume products while not giving up its customizer niche. Was it possible to do so without giving up its point-of-difference as the ultimate customizer? Farnam as the cost-effective solutions provider offering. We recommended that Farnam continue its role as ultimate customizer while inching towards more standard applications, as long as these applications allowed and encouraged liberal modifications. A lack of deliberate and consistent branding/marketing coupled with the emergence of several new shopping centers resulted in a year over year sales drop. Our client, East-Coast based Blossman Propane Gas, Appliance, & Service, with 67 locations from Miami to Baltimore, was challenged with an eroding market due to higher costs for propane, big electric companies infiltrating homes with heat pumps and green tax incentives, and the extension the natural gas reach. The Goss Agency addressed the barriers head-on with our strategic and thorough approach of research, stakeholder interviews, conducting a day-long session to identify benefits and barriers, and leading focus groups to identify the most meaningful brand positioning. Take Comfort In Blossman says it all - who they are and what they offer clients. The fully integrated marketing plan, across five media markets, includes TV, radio, outdoor, and online. The results speak for themselves. 1. You understand what we need as a propane retailer. 2. Your work is organized and focused on results, not the work. The Chubb Institute, Parsippany NJ, is a division of The Chubb Corporation. Despite the prestigious name, the school was perceived as just another technical/vocational school in the Northeast, Midwest, and Southeast. We conducted Benefits Testing Focus Groups with students and applicants who did not attend. The research insights indicated that computer/technical schools were largely ignoring the emotional aspects of the decision to return to school. We developed a new brand and corporate positioning for Chubb. This encouraged Chubb to move away from its trainer brand image and shift to a brand personality of the encouraging, confident mentor. Negative perception: Small, outdated, with fewer connections, amenities, resulted in significant "leakage", customer base, business and leisure, driving to Charlotte and Greenville. Rebrand and increase traffic by highlighting positive qualities: saving hours/dollars traveling to other airports, putting value on time with family and business, convenient parking, fewer lines, faster check-in, and a markedly less-stressful traveling experience. 30 property sales in 2 years. French Chateau homes from $750K to $3M. Thoms Estate was an unknown property or brand surrounded in Western North Carolina with approximately 60 developments, with 25 in direct competition in the same price range. Property concept: converting 100 acres of rolling fields and pond into a French County Estate with amenities and architectural style of the countryside of southern France. The amenities included a Secret Garden, Fly-Casting Pond, Bocce Ball Court, Stargazing Points, a Labyrinth, Plein Air Art, and Estate Inn with French Cooking and Wine Room. The Brand Identity/Logo/Tagline. Created emotional messaging around each property experience, which was strategically placed in digital and print media relating to specific Cultural and Art Affinity Targets with a supporting closer” tabletop Estate book for qualified inquires. 3 months into campaign, 30,000 inquires, 3,300 leads and 30 contracts on property. Developer Kent Smith said, "30 years and countless properties, this is the best branding and sales piece I’ve ever seen." With a fixed budget, management wanted to attract more people to sky-dive but didn’t know how to target or message. Create campaign targeting extreme sport enthusiasts who had never sky-dived, utilizing print campaign, and guerrilla placement. The Goss Agency’s Benefits Testing Program successfully identified who would sky-dive if motivated. In addition to current skydivers, our campaign was designed to reach the free spirit” type who takes part in other adventurous sports and activities such as rock climbing, but had never sky-dived. The campaign took shape with solid sky-blue posters and ads that featured small white type, which was positioned as if it were falling through the sky. Austin is the nation’s largest producer of cracker sandwiches. However, a major part of its distribution has been to club stores and mass merchandisers where its profit margins are low. The company wanted to brand Austin in the supermarket channel where its share of market trails Frito-Lay, Keebler, and Lance. Inside Insights Focus Groups were employed to uncover the hot buttons that lead to a consumer purchase. It was discovered that the strongest benefit that motivates consumer use of cracker sandwiches is the benefit of ending the hungries. The primary reason to choose cracker sandwiches over other snacks is to satisfy hunger cravings until a full meal can be enjoyed. AQFI launched the first advertising and public relations program in its history in three test markets. On-pack promotions and end-aisle displays touted End the Hungries. Based on the results, Austin rolled out the program into the 15 markets having the highest proportionate consumption of cracker sandwiches. Founded in 1996, Nexchange Corporation is changing affiliate marketing by connecting buyers and sellers on a network of over 75,000 online stores. 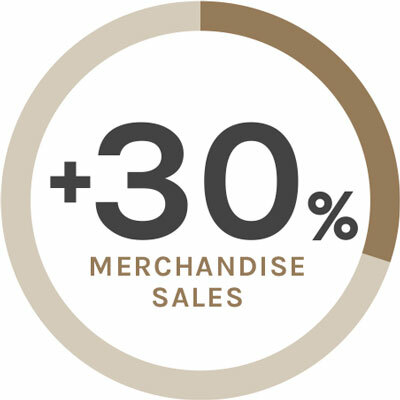 Using Nexchange’s patent-pending technology, Web site owners open retail stores within the relevant content of their sites -- generating revenue without ever losing their visitors. Retailers include Proflowers, Ashford.com (Nasdaq:ASFD), and Just For Feet among others. Upon completion of consumer insights analysis, the position was identified for Nexchange to take leadership in enabling on-line retail without losing the customer. Also it was determined that what was most important was to communicate this key benefit in simple, uncomplicated term. A series of ads and direct mail were created. Rather than inform the prospect that they could keep the visitor to their site from leaving, the direction was determined to communicate our limitations, where we could not keep them from going, the restroom. Marketing Workshop, the Southeastern U.S.’s premier research house had a desire to develop more awareness and importance for ongoing research among corporations and marketing companies throughout the Southeast. Upon completion of customer and prospect analysis, it was identified that an approach that touched the emotions of success and risk aversion was the key message. A series of single color ads with powerful headline messages were created to touch the emotions of those making decisions on marketing efforts and budget expenditures. Ad messages appealed to the conservative nature, sense of humor, risk aversion, and egos of the target, e.g., Where CEOs turn for advice, other than their spouses. Internet startup in need of branding and packaging its international food brokerage business model. Print campaign: supermarket buyers’ publication, farm publications and Wall Street Journal ads for investors. Successful launch led to lucrative acquisition by ConAgra. "In the category of international food brokerage, we were facing competition focused on one category of food with budgets triple ours while our budget was to be spread over four categories. We needed a lean, experienced, superman agency. The Goss Agency was recommended to me by a director of marketing who is a close friend and associate. After a search and review of four agencies, our team of eight unanimously elected to work with Jeff Goss and The Goss Agency. Jeff’s team wrote our marketing plan and media strategy. With a combination of outstanding creative and media strategy, they showed us a way to increase our customer base of buyers and sellers 18% in six months. They changed the way the most dominant magazine in the restaurant category sold its ads in order to accommodate our unique buy. We executed a schedule of small space ads in the Wall Street Journal targeting the C level of the food industry on the commodities page, creating sell-in from the top as we targeted buyers and sellers, never done before." For decades, ranchers had used large-gauge (traditional) barbed wire. Bekaert had to communicate to consumers and distributors that its new thinner product offered a significant increase in tensile strength and durability. Persuade longtime consumers that the new wire is superior to the old wire despite its appearance. The positioning line was: The superior engineered wire, freeing you from time, worry and concerns surrounding fencing and repair. We utilized a no-B.S. print campaign to persuade longtime consumers that the new wire is superior to the old wire despite its appearance. Exceeded all sales projections, and ranchers began requesting our posters. Polypropylene fabrics and fibers for a variety of manufacturing from clothing to skis, and highway erosion barriers. North America: Atlanta, GA.
By compiling data and available research, some conducted by the industry and some by Amoco over the decades, we repackaged and presented this information on their website and collateral in an informative and educational manner technically helpful in executing and specifying a project for civil engineers. Thus, Amoco Fabrics and Fibers was established as the authority in geo-textiles and it was a risk to do a job without their knowledge. This positioning was carried out in direct mail and ads in industry publications that struck the emotions surrounding the risk. Until partnering with The Goss Agency, Baffin Boots of Canada relied heavily on sales and reputation to sustain its growth. Distribution suffered and sales became flat. While TGA certainly respects and supports this approach, we believe it is imperative to build a brand. To create brand image that reflected the manufacturer’s practical understanding of harsh tundra environments and real need for a rugged boot, we developed a print campaign that was designed to tap the passion and build a bond with the extreme-cold-weather sports enthusiast. The campaign continued to increase sales, and ran for a number of years in trade shows and consumer publications. Preceding deregulation that allowed Georgia Power customers to choose power companies throughout the Southeast, Georgia Power decided on a preemptive strike. Even though solid relationships had been established, there was still concern about some defection. After a thorough customer study, it was decided to take the high road and remind customers of the support and resources lent by Georgia Power day-to-day and especially in a crisis. Actual examples were used for a series of ads placed in the Wall Street Journal. The portraits of the Georgia Power Representatives were etched in the same style and by the same illustrator of the Wall Street Journal, giving the campaign stature and credibility. Reduced commercial churn to 1%. Stamford Town Center had the enormous challenge to reach outside its market. Its sights were set on New York City. Its goal: pull shoppers from the best shopping in the world to their mall, a short train ride away. Stamford Town Center has a lot of stores that Manhattan doesn’t, believe it or not. Also, New Yorkers don’t like to fight crowds after pushing and shoving just to get to work all week. The Civilized Shopping theme line was born. We developed full page ads that ran in the New York Times and colorful transit posters. Due to the constant humidity of the island and incessant construction, Vitelco was having difficulty giving quality service to customers. Reverse the company’s negative image by creating an aggressive public relations campaign that highlights Vitelco’s involvement within the community and recent capital improvements. The company received a Community Leadership Award by the Rotary Club and shed its negative image. Campaign needed to promote winter visitation, a time when most Northerners rarely leave their homes. Created campaign to persuade consumers to shake their cabin fever and shop during the winter months. Utilized print, transit and outdoor media vehicles.